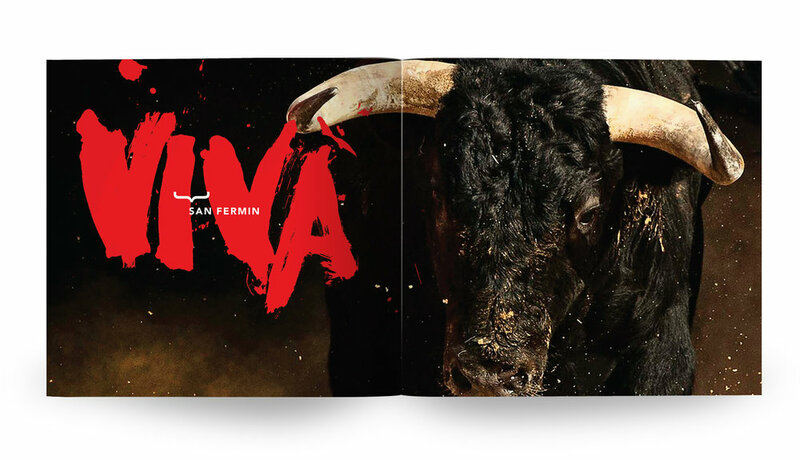 San Fermin; book, catalog — k.
I used India Ink and multiple brushes to create the hand-lettering seen throughout this catalog. 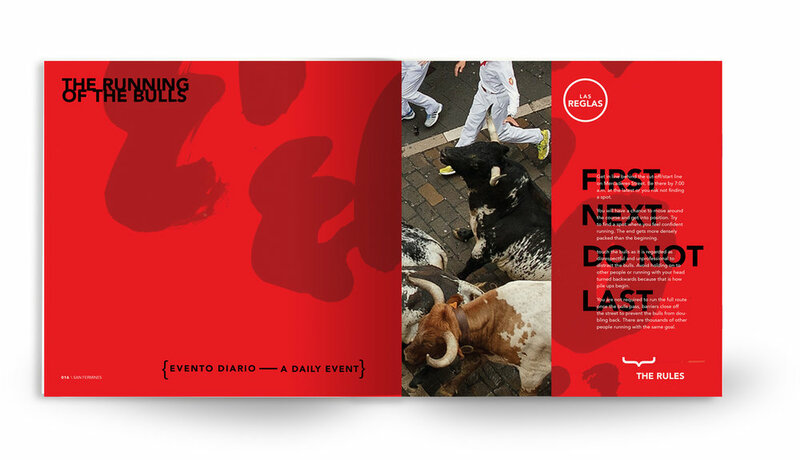 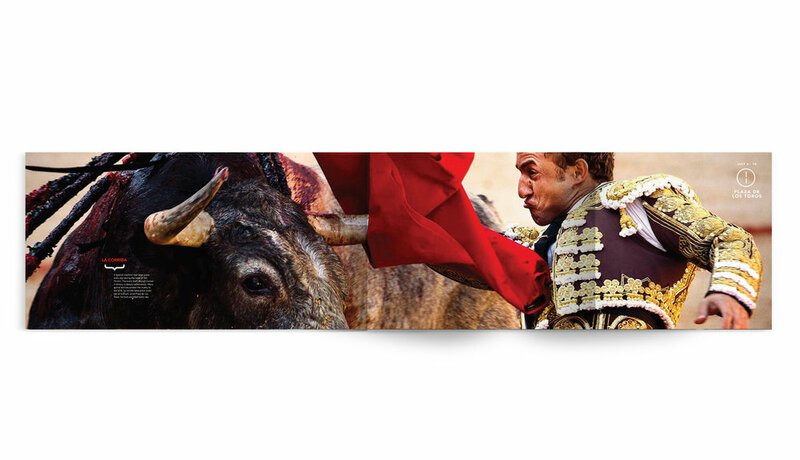 I used gatefolds throughout the design so specific photos, like the image of the running of the bulls (below), had a greater impact. 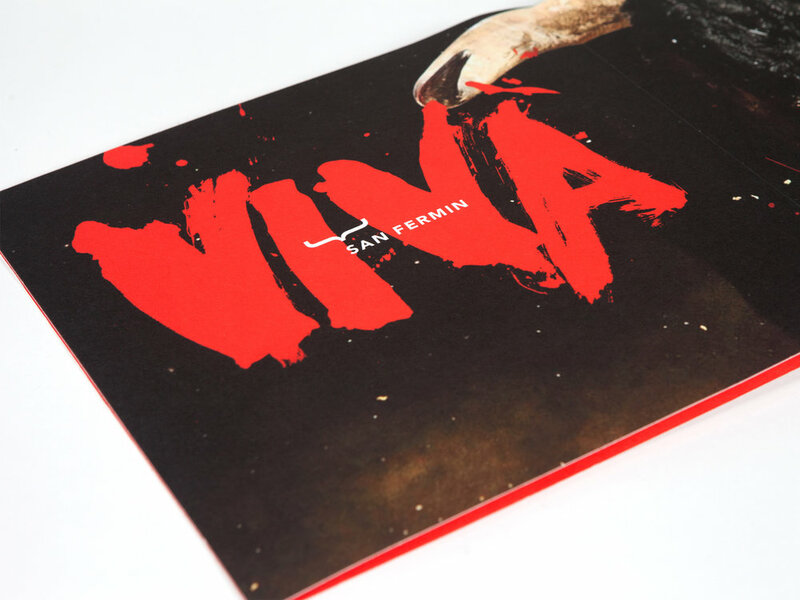 I printed and bound the catalog using fine art watercolor paper, which gives each page a heavy weight and texture.